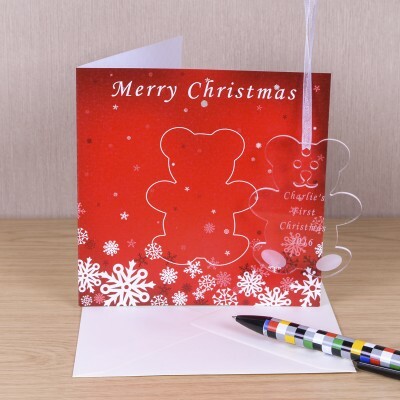 A detachable teddy bear decoration forms the centrepiece of the card design. A card and a gift all in one! The top of the card has the fixed text of "Merry Christmas", the decoration is clear acrylic and can be personalised over 4 lines of text.